Here's a simple little two-chord song, penned by David Faraday from You Ukes; it's perfect for absolute beginners. There are just two chords are C and Am. 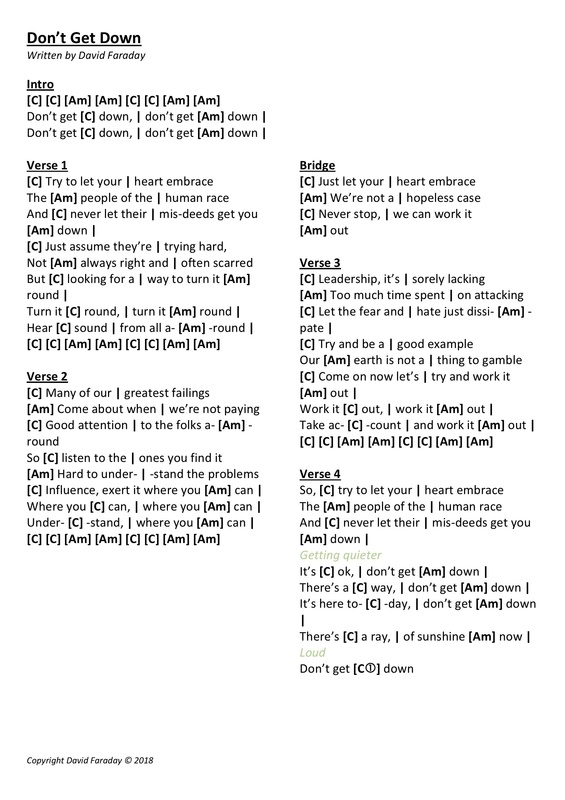 The rhythm used in the video (below) is You Ukes Rhythm 3 (Down, Down-Up, Down-Up, Down-up). But it will work fine with a more simple rhythm, You Ukes Rhythm 1 (Down, Down, Down, Down) or You Ukes Rhythm 2 (Down-Up, Down-Up, Down-Up, Down-Up). 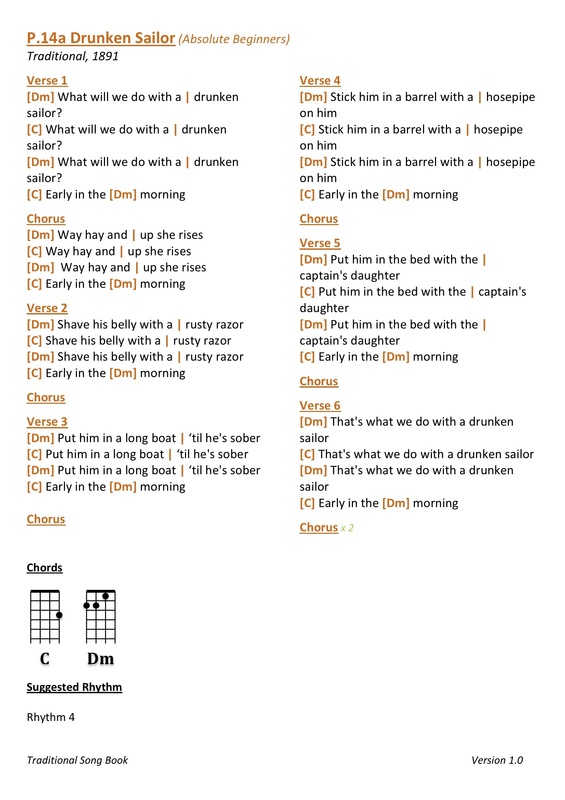 Here's another simple little two-chord song: 'What Shall We Do With A Drunken Sailor. Again, it's perfect for absolute beginners. There are just two chords are C and Dm. The rhythm used in the video (below) is You Ukes Rhythm 34(Down, Down-Up, Down, Down-up). But it will work fine with a more simple rhythm, You Ukes Rhythm 1 (Down, Down, Down, Down) or You Ukes Rhythm 2 (Down-Up, Down-Up, Down-Up, Down-Up).